The Annapolis Inn Art Hotel has 52 rooms and features a swimming pool. Facilities at the Annapolis Inn Art Hotel include a 24 hour reception, family rooms and a currency exchange. The hotel also provides a safe, billiards and a car rental desk. For business travellers, there is a business centre. The Annapolis Inn Art Hotel's restaurant serves Mediterranean cuisine, along with a buffet breakfast every morning. For those wishing to dine out, there are plenty of dining options a short stroll from the hotel. 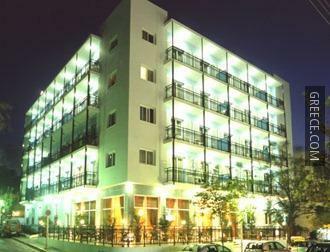 The location of the hotel means guests can easily reach multiple tourist destinations on foot. The Palace of the Grand Master of the Knights of Rhodes is within a short 10 minute walk of the hotel.